Founded more than 100 years ago, UGI Heating, Cooling & Plumbing has been serving communities throughout eastern and central Pennsylvania for their HVAC, plumbing, and weatherization needs. With four office locations, UGI serves the Lehigh Valley and Redding, Lancaster, Harrisburg, and surrounding areas. The company is known for quality and safety and has earned high customer service ratings. UGI has helped thousands of families cut their energy bills and boost home comfort with efficient heating and cooling systems, home weatherization upgrades, natural gas conversions, and custom fuel lines. Energy auditors certified by the Building Performance Institute take a whole-home approach to solving complex comfort and energy conservation issues. UGI has been a KeystoneHELP Registered Contractor for many years, starting in the early days of the KeystoneHELP program..
We spoke with Pam Jocsak, general manager of UGI Heating, Cooling & Plumbing, to understand how KeystoneHELP helps the company lower customers’ energy bills with 100% project financing. Tell us about the financing benefits of partnering with KeystoneHELP. Pam: We have offered KeystoneHELP financing for many years! Our customers appreciate the low rates and long terms. KeystoneHELP is a great program in Pennsylvania that has really helped make it more economical for homeowners to upgrade to high-efficiency HVAC equipment and save on energy costs. The customized financing offerings are helpful to those who want to save on their energy bills. As a contractor, working with Renew Financial has allowed us to increase our sales while provide homeowners affordable financing programs. What do UGI customers like about KeystoneHELP financing? Pam: The program really helps customers look at their whole home and make it more energy efficient with heating, air conditioning, water heating, and weatherization upgrades. In many cases, it produces a win-win situation where the monthly payments are lower than the energy savings. This is possible because of the low rates and fixed financing terms up to 10 years. Customers really like the rates. 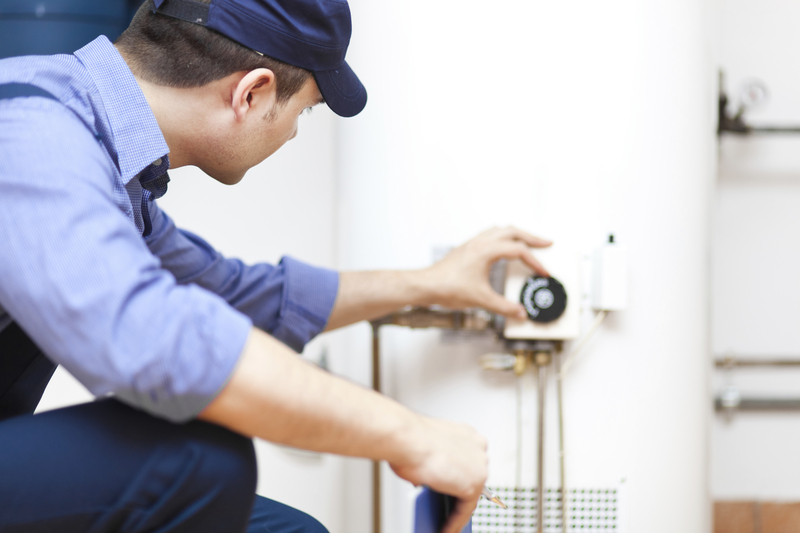 Because new heating and cooling equipment lasts longer than 10 years, our customers are making a lasting home improvement that even outlives the life of the loan. Is the KeystoneHELP financing program easy to use? Pam: The process is very quick and easy, and most of our customers qualify. A UGI salesperson walks our customers through the process, and they find out right away if they have been approved. As a contractor, receiving our payments has been a very good process; Renew Financial is a good partner to work with. Tell me about a customer who was helped by the KeystoneHELP program. Pam: One of our satisfied customers in Lancaster was able to instantly save money after converting from oil to gas heat and weatherizing her home. They lived in an older, drafty home and were paying $5,000 to heat the home annually. Now they pay about $80 a month [or about $960 annually] for space heating and hot water heating, and the home is much more comfortable. The energy savings are greater than the monthly KeystoneHELP payments,and the customer has made long-term improvements to their home while benefitting the environment. Ready to boost your sales and increase customer satisfaction? Learn more about enrolling with KeystoneHELP today!